Morton Smith suggests that accounts of the Eucharistic ritual found in surviving magical texts "have their closest parallels in Egyptian texts." Smith draws upon the material contained in the Demotic Magical Papyrus for examples of eucharistic rites that are similar to the text of the institution of the Christian eucharist. The Demotic Magical Papyrus was written in the third century C.E., but its content is much older. ...The wave of religious terrorism that swept Egypt for twenty years seemed to some Egyptians to herald the end of the world. "If we are alive," one wrote, "then life itself is dead." Long before St. Paul spread the good news to the Christians, the priests and lay followers of Isis had spread their gospel to the people of the Mediterranean basin. 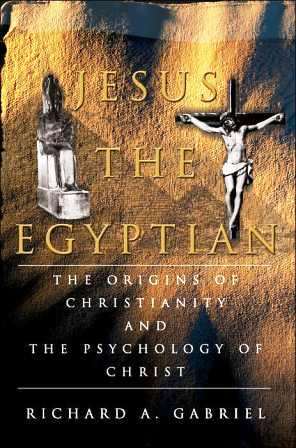 The Egyptians believed in a life beyond the grave from very earliest times and the doctrine of eternal existence became a leading feature of their religious life history. It was an idea that greatly affected Egyptian thinking about ethics, for if life was possible beyond the grave, then the question of who was to be saved and how became a central moral question. Breasted rightly claimed that "among no people, ancient or modern, has the idea of life beyond the grave held no prominent a place as among ancient Egyptians"
The principles of Egyptian theology were all derived from the incorporation of the Osiris myth into the body of traditional Egyptian religious thought, a process that began even before the First Union (3200 BC). When Set learns that the child he knows as Horus will someday attempt to revenge his father. Set sets out to kill Horus. Isis hid in the reeds and swamps of the Nile Delta where she nursed and raised her son.